Color Archive is a unique system with well picked bestselling colours for fashion and lifestyle industry. The inspriational system is growing in numbers every season with new swatches. Creative director Christine Foden has published her whole archive with swatches for you to pick n' choose! If you have the trend books from Christine you can easily pick the colours that attracts the most and order from us. If you want them all, order Colour Archive :-) In there you find all colours ever published by D.cipher fm! Colour Archive is currently under development and will be published within nearest future! 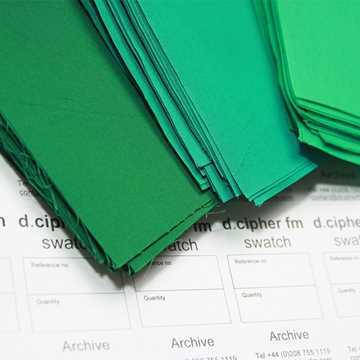 Till then you're able to order single swatches using the referenses in your d-cipher FM trendbook.